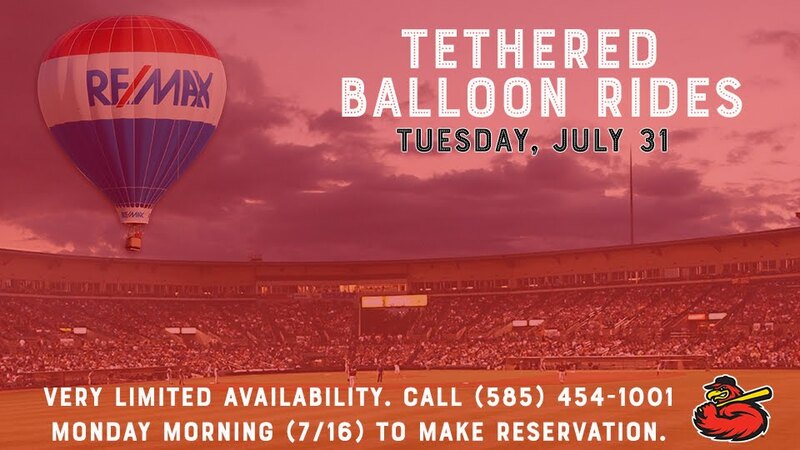 For the first time ever, the Red Wings are offering tethered balloon rides courtesy of RE/MAX during our Tuesday, July 31 game (7:05 pm) giving fans a unique perspective of Frontier Field and the City of Rochester. There are only EIGHT, 10-minute rides available and they will be filled on a first-come, first-served basis beginning at 10 am MONDAY morning (7/16) by calling Eric at (585) 454-1001 ext. 3057. One ride will cost $50 and can include up to three people. 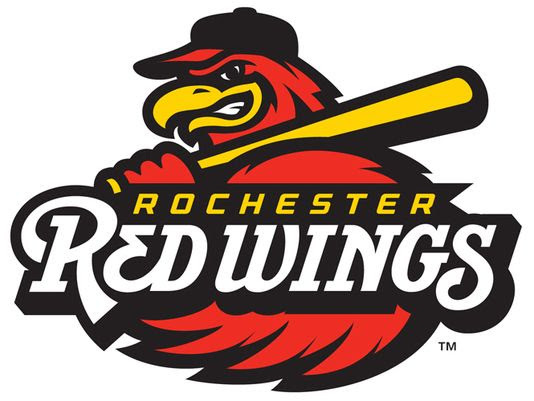 Three tickets to the Red Wings game that evening is included in the price. The rides will start at 7:00 pm. Fans will be asked to arrive at the balloon, located next to the VIP lot, 30 minutes before their reserved time. The tethered rides are VERY weather-dependent, meaning that even a light wind could force the postponement of the rides. We do have a makeup date of August 22 in place should we need to postpone.